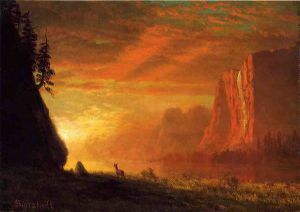 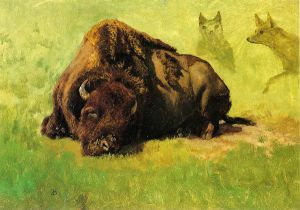 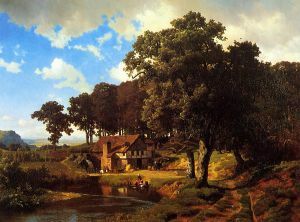 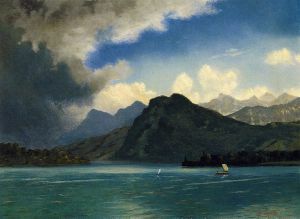 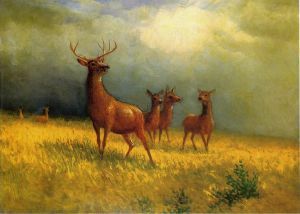 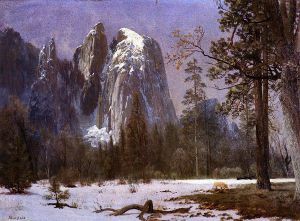 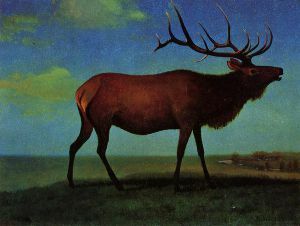 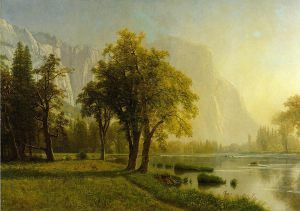 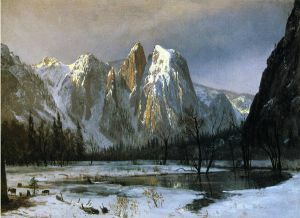 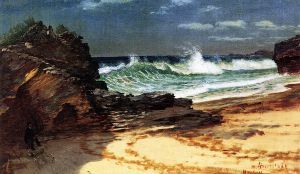 Albert Bierstadt (January 8, 1830 – February 18, 1902) was a German-American painter best known for his large landscapes of the American West. 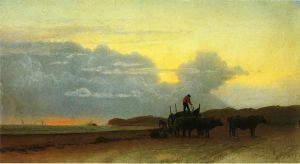 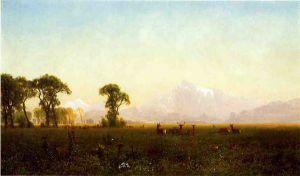 In obtaining the subject matter for these works, Bierstadt joined several journeys of the Westward Expansion. 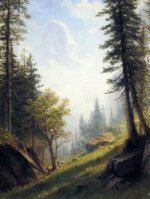 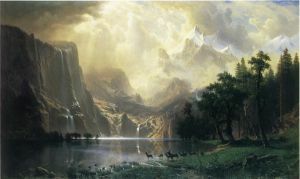 Though not the first artist to record these sites, Bierstadt was the foremost painter of these scenes for the remainder of the 19th century. 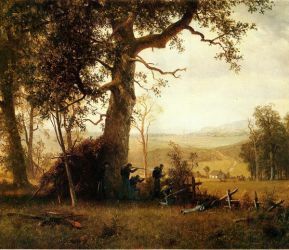 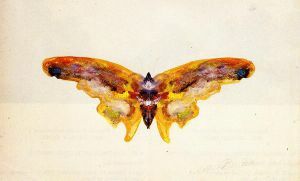 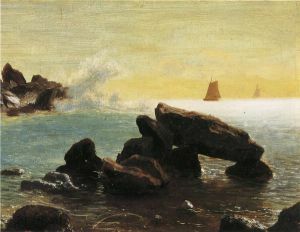 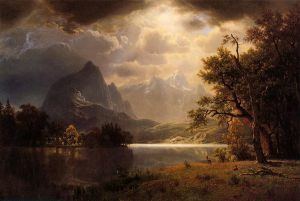 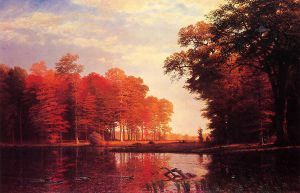 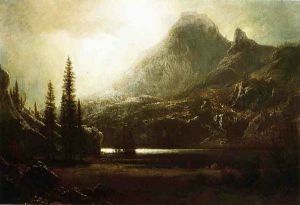 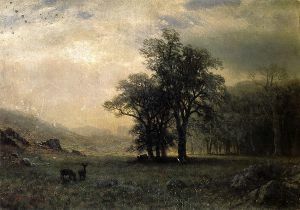 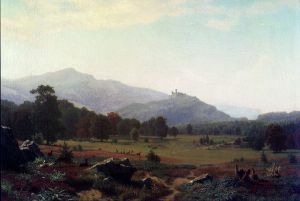 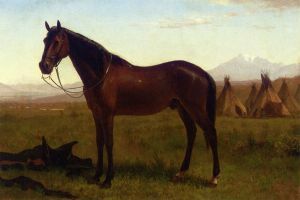 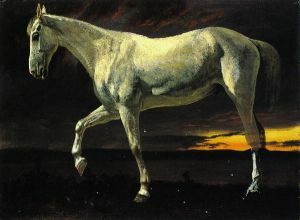 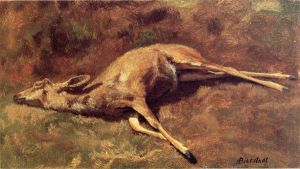 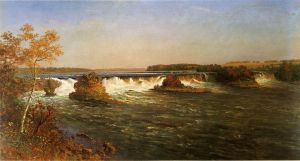 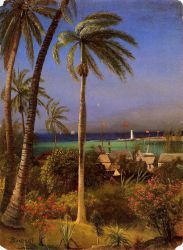 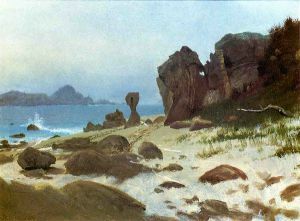 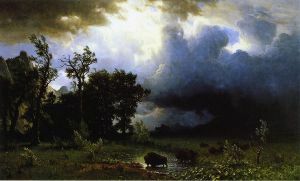 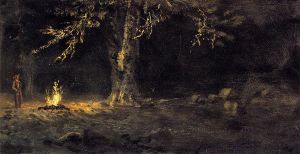 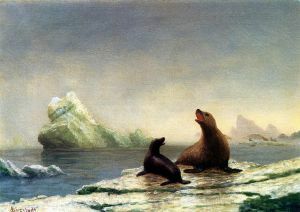 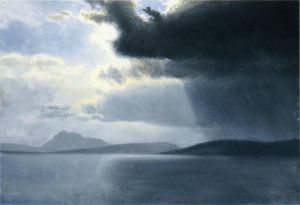 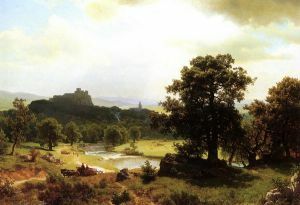 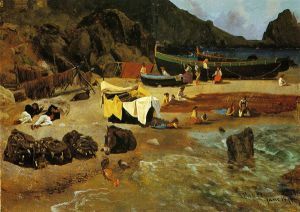 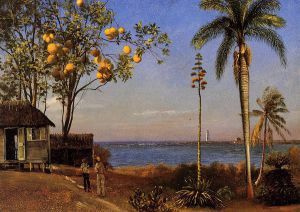 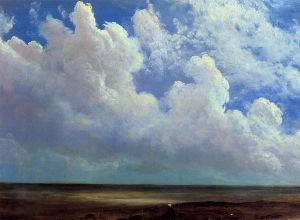 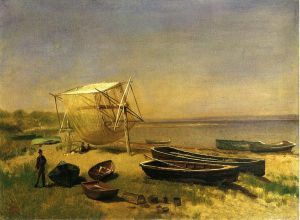 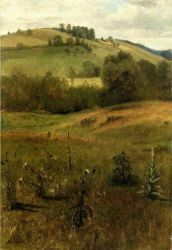 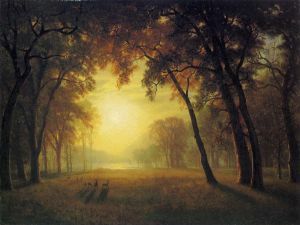 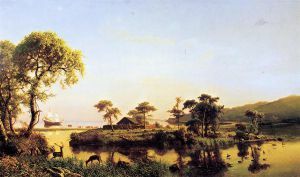 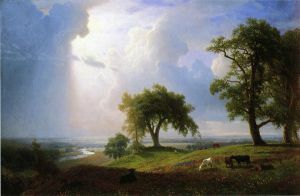 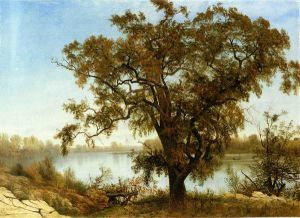 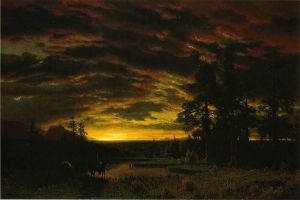 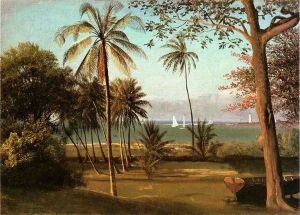 Bierstadt was part of the Hudson River School, not an institution but rather an informal group of like-minded painters. 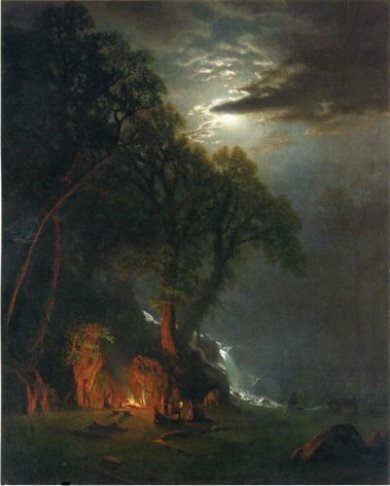 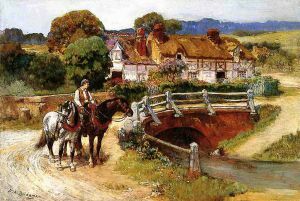 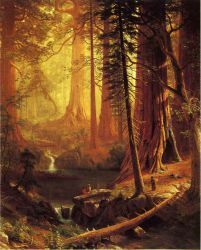 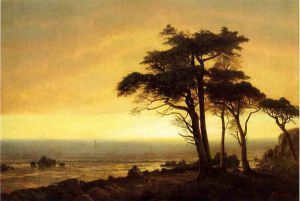 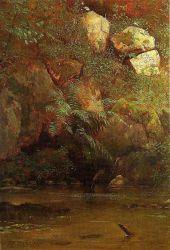 The Hudson River School style involved carefully detailed paintings with romantic, almost glowing lighting, sometimes called luminism. 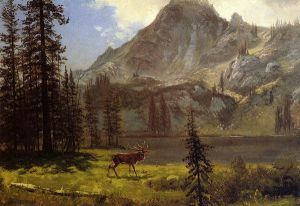 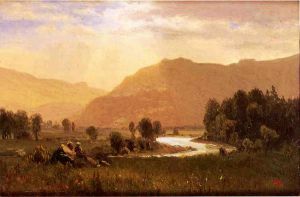 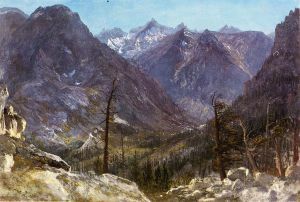 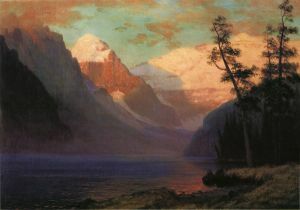 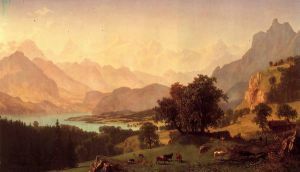 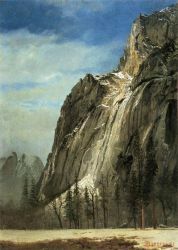 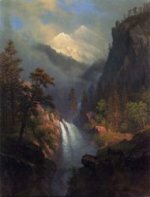 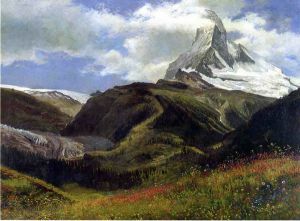 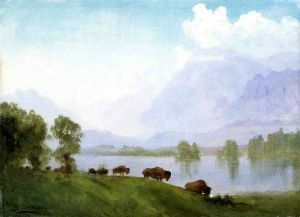 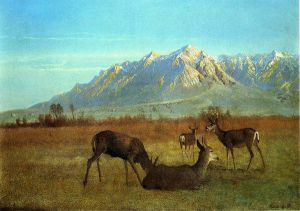 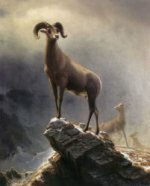 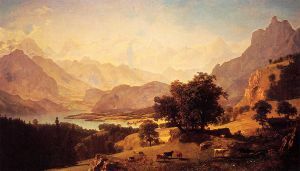 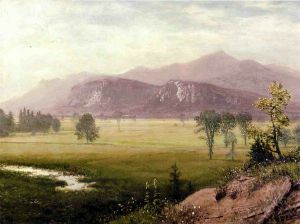 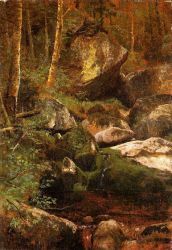 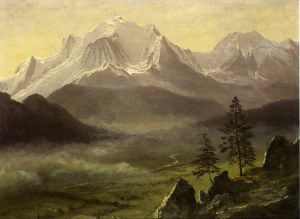 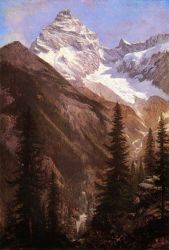 An important interpreter of the western landscape, Bierstadt, along with Thomas Moran, is also grouped with the Rocky Mountain School.